Yarnistas throughout the five boroughs are getting ready to celebrate their love of the fiber arts with the annual New York City Yarn Crawl. On the list are a dozen shops in Manhattan and Brooklyn taking part in this annual three-day event for knitters, crocheters, spinners, dyers, felters and fiber lovers. 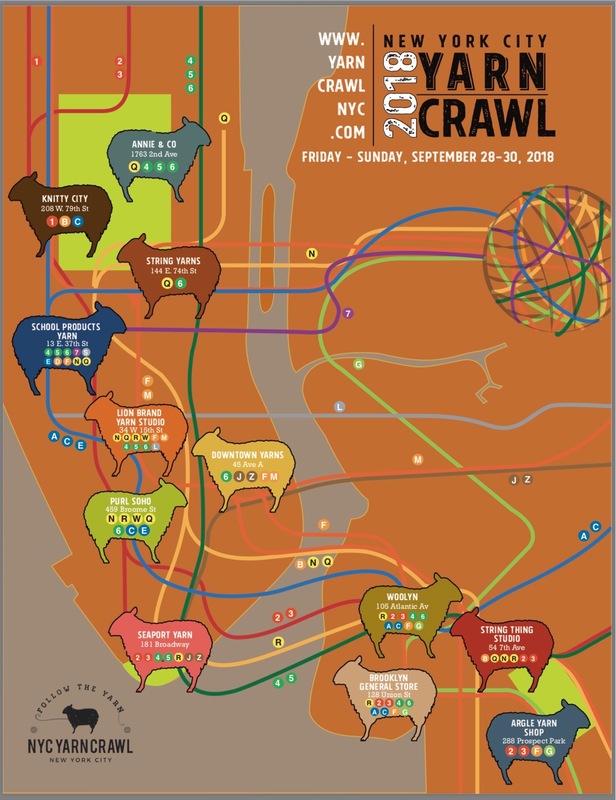 This years Yarn Crawl Map will take you from the Upper East Side to Red Hook, from Soho to Midtown, from the Upper West Side to the East Village and to Atlantic Avenue in Brooklyn. Follow the yarn and be part of the Scavenger Hunt, Store Raffles and Trunk Shows. There is no charge to crawl and no pre-registration necessary. Plan your own route. Follow on Facebook, Twitter and Instagram. 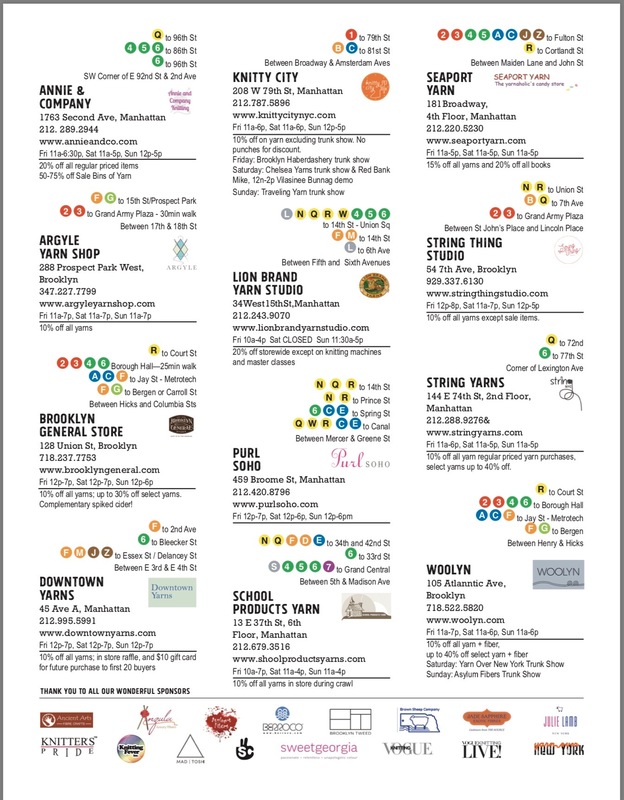 Save-the-Dates for the Brooklyn Yarn Crawl, April 27-28, 2019.